100% committed to delivering high ROI solutions across multiple business models. Julia brings a disciplined approach to building brand awareness, repositioning brands, and optimizing brand architecture to accommodate for mergers and channel growth plans. From website redesigns and app launches to search, SEO, programatic display, social media and influencer campaigns, Julia has lead digital plans that drive traffic, convert customers and deliver great UX. In a world of multiple screens, every campaign needs to be omni channel to break through. TV, print, PR, social, mobile, local, CRM, sponsorship events, retail displays are part of Julia's arsenal. 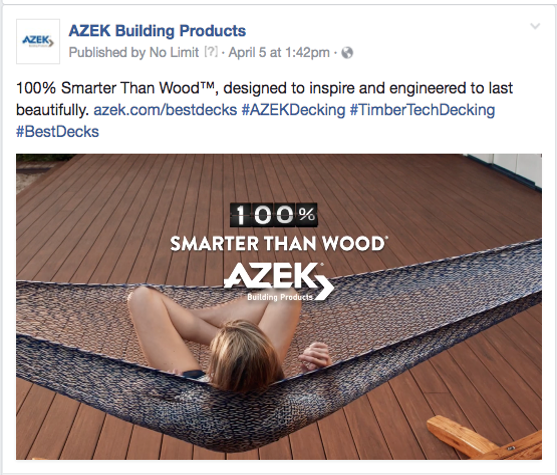 Challenge: AZEK acquired TimberTech and although they were both premium brands in engineered decking, siding, and trim, they were largely unknown to consumers and underutilized versus wood by trade partners. Strategy: As CMO, Julia created new brand architecture for the company that simplified the company's go to market approach and allowed for more effective marketing investment. She then launched a multi channel decking campaign to drive awareness with consumers and consideration with the trade. She created the "100% Smarter Than Wood" message that identified the largest growth opportunity for the brand - wood deck replacement. Then she used HGTV as a cost effective TV driver and coordinated print, digital, social, and trade marketing to get the brand name recognized and associated with its core competency - a premium wood replacement. Results: Increased AZEK awareness by from 19% to 27%, increased site traffic 52% YOY and increased contractor leads by 128% YOY. Sales increased 10% in 2017. 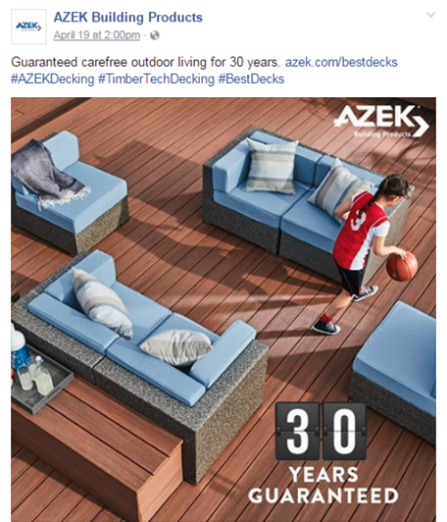 Challenge: In 2016 AZEK wanted to regionally launch a new siding product and be viewed as a premium brand for multiple high performance home exterior products. Like most of the industry, AZEK's advertising had been exclusively male focused. As an added marketing challenge, there were no homes yet built with the new AZEK siding, so traditional photography was not an option. Strategy: Through interviews with contractors and dealers Julia uncovered a key insight - the female head of household was the primary influencer of color, product, and brand that went into her outdoor living space and home exterior. Julia worked with the agency to launch a breakthrough campaign that influenced women with a "house purse" that highlighted AZEK's siding & other products. These striking images broke through the traditional consumer facing building products messaging in print, social, digital, and PR. Even the trade asked for the campaign for the postcards and door hanger activations that works on local contractor level. Results: AZEK sales grew 15% in 2016, 20 key new dealers took on the AZEK products, AZEK was recognized as #1 Brand by the Builder Magazine 2016 Brand Builder study. Expanding A Heritage Brand To Drive New Business. Challenge: Sylvan Learning was experiencing declining sales in an increasingly competitive market. Its remedial tutoring focus was narrow, its brand presentation was out dated and it did not have a digital outreach strategy. 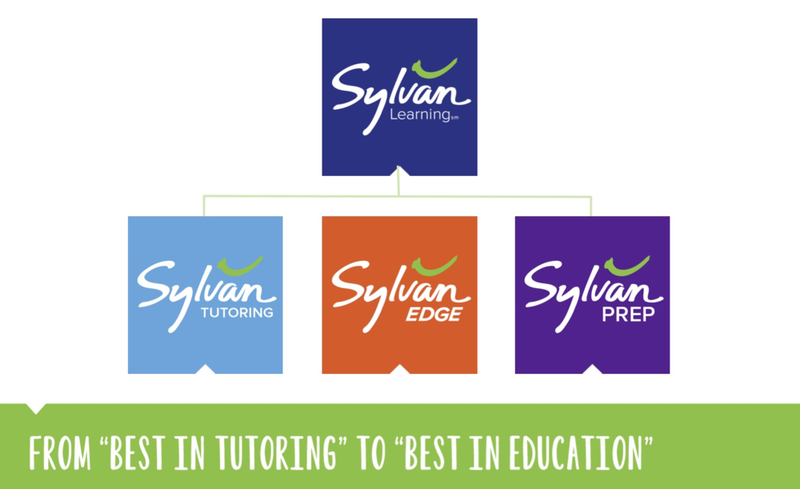 Strategy: Julia identified that Sylvan's biggest growth opportunity was expanding its positioning from a remedial tutoring company to an education company. Julia established the new STEM brand, Sylvan Edge, for robotics and coding, and the Sylvan Prep brand for kids preparing for the ACTs and SATS. The repositioning expanded Sylvan's target market and revenue potential dramatically. 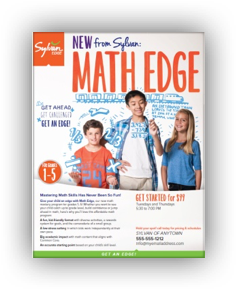 Enlisting Bill Nye as a key influencer provided national messaging and allowed the Sylvan Franchisees to focus on marketing Sylvan Edge in their local territories. Results: Over 480 franchisees adopted and sold the Sylvan Edge Program, Declining sales stabilized and returned to single digit growth, Sylvan's social presence increased by 120%, and the leads to Franchisees increased by 20%. Company momentum followed suit. Challenge: Moms weren't shopping Kmart for holiday because they did not think they could find the hot toys their kids wanted there. 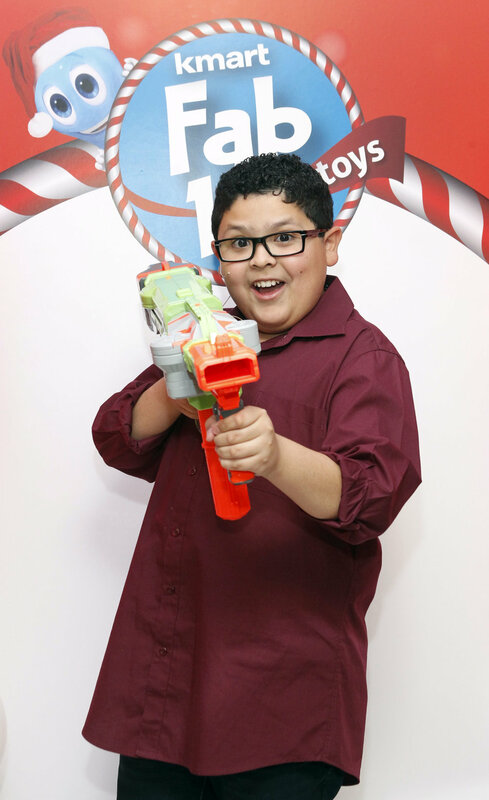 Strategy: Julia created the Kmart Fab 15 hot toy list and had Rico Rodriguez from Modern Family introduce the list through videos, social media, a toy catalog, an event in Times Square and in print. We created a kmart.com/Fab15 site where we housed fun videos that revealed the toys, hosted a sweepstake, and promoted e-commerce. Then Julia took the Fab 15 to completely unexpected places for online toy shopping anywhere there was dwell time - airports, bus stops, food courts. Results - The campaign received over 400MM impressions, over 18MM views of the videos, PR placements on the Ellen Show, Hollywood Access, and PerezHilton.com, 40% increase in Fab 15 sales, $35MM in toy Catalog sales, and new Kmart respect from the big toy makers.